We love simple turkey crafts. Earlier this week we shared an easy gratitude paper plate turkey craft and we also have a dozen other simple Thanksgiving crafts that we think are fun. 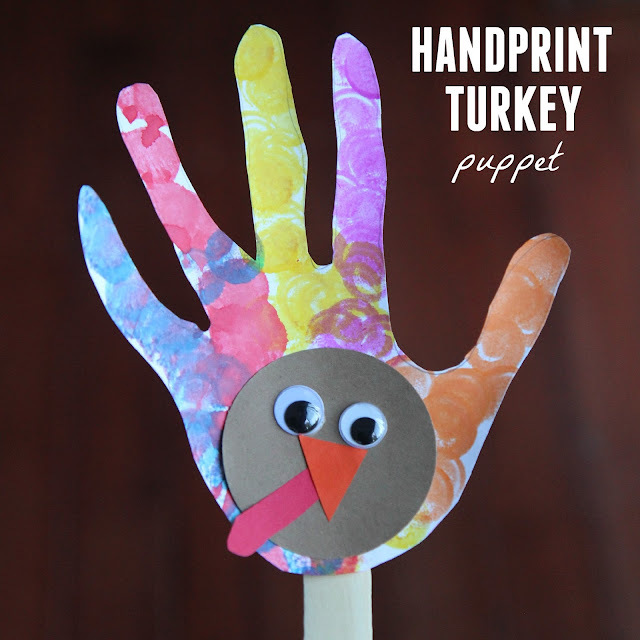 My kids love handprint art and tracing their hands, so we decided to make a simple handprint turkey puppet today! Handprint turkey puppets require very few materials. Start out by tracing your hands onto a piece of white cardstock and then cut the handprints out! Older kids can cut their own, younger kids might need you to cut for them. Next grab Dot markers or anything you like to create with and paint your cardstock handprints. Use your craft punch to cut out a large circle. 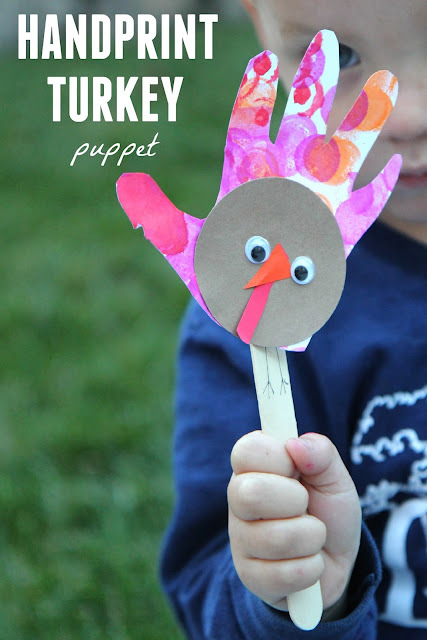 Next use glue to add a gobbler, beak, and eyes to your brown circle to make the turkey's face. 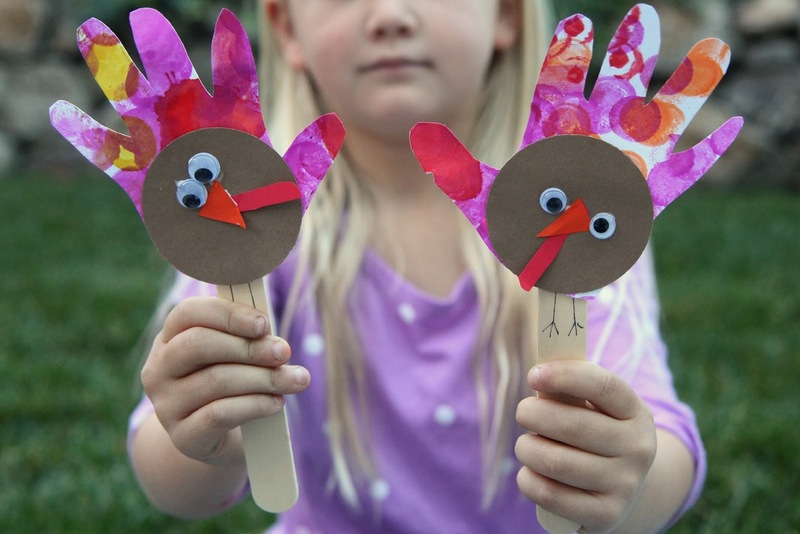 Glue the brown turkey face onto the handprint and then glue the handprint onto a craft stick and voila! now you have your very own handprint turkey pupper! This craft project was SO EASY and had very few steps, so my kids loved it! This is such a fun song to sing together holding your little handprint turkeys!